Are you an experienced Electrician looking for a new opportunity? 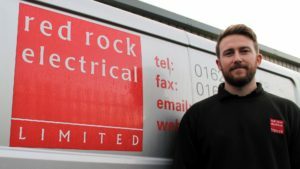 red rock electrical ltd operate throughout the UK on a wide variety of exciting and varied projects. We are always on the look out for experienced electricians to join our current teams. Join the red rock team! Applicants must hold a valid ECS/CSCS card and be willing to work away from home, weekends, nights and overtime when required. A clean driving licence is also essential.